What can be the most awkward room in the entire church? It has to be church bathrooms. You’ll never know what you’ll encounter. 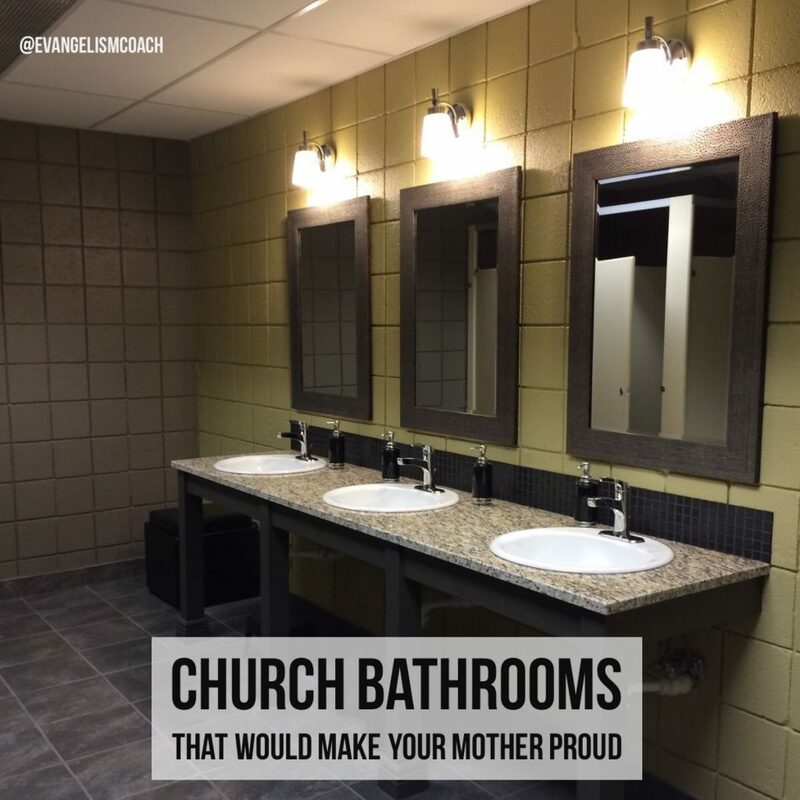 You’ll want to make sure your church bathrooms would make your mother proud. That’s the gold standard. I’ve prepared a quick checklist for you. Do your church bathrooms make your mother proud? I have traveled to many churches in 10 different countries. I’m not sure about this picture from a church men’s room. I wonder if the two other stalls are marked with Hope and Love. If you are on the hospitality commmitee of your church or the facilities team, utilize this checklist of stuff I hope you notice and fix before your church visitor finds themselves in a weird spot. Ample supplies of toilet paper (don’t use single ply) and paper towels. Plenty of soap, lotion, hand sanitizers. Toilet anchored to the floor. Seats and lids properly attached. Much of this may be handled by custodial staff, but some of these things are discovered only on a regular inspection. If church ushers do a facility check before and after services as part of their responsibilities, they can check these things. 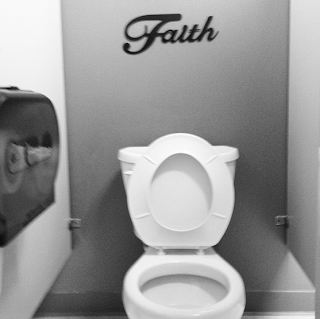 How one church fixed their bathroom. For example, somehow the guys in charge of keeping things fixed at the church just didn’t know that the toilet seat in the women’s bathroom was cracked; had been cracked for a long time. They told me that that’s the kind of thing they definitely needed to be told about, wouldn’t discover it on their own!! The seat has been replaced!! I can only imagine the potty humor that might come in the comments now. . . .
Do you want to know why your church visitor didn't return? Is your hospitality ministry disorganized? What does a church hospitality committee do?